Soft plastic cups are perfect for a wide variety of cold beverages. Stars cups complete your theme party. 12 OZ. CUPS – CLEAR 40 CT.
10 OZ. TUMBLERS – CLEAR 20 CT.
2.5 OZ. 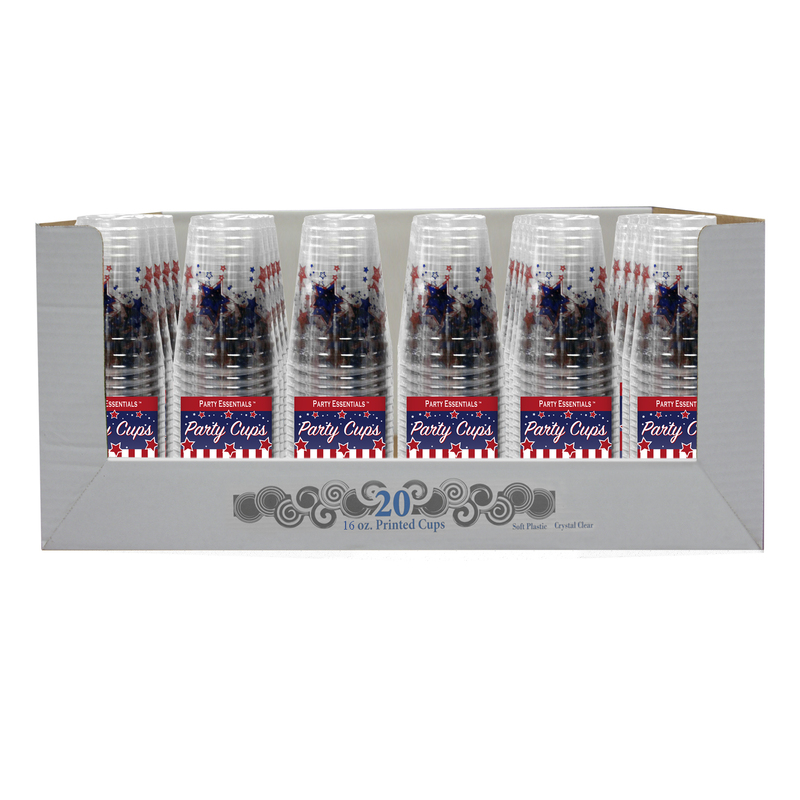 SHOT GLASSES WITH LIDS – CLEAR 25 CT.
2.5 OZ. SHOT GLASSES WITH LIDS – CLEAR 50 CT.